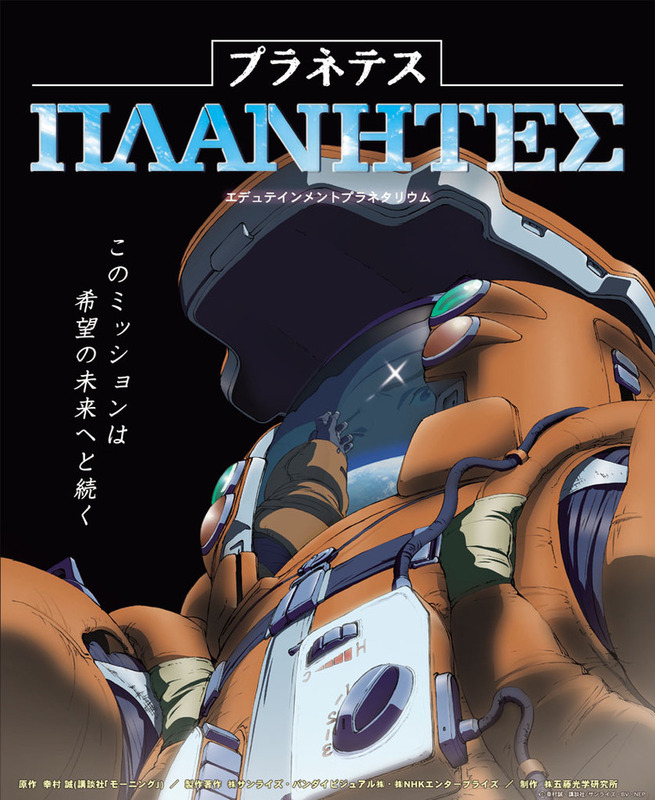 In The Space Review today, Dwayne Day has a good review of the Japanese anime series Planetes. The review is accurate in noting that the main character is especially annoying. In fact, she's so annoying that I dropped watching the series, even though it was about space and had a vaguely realistic setting. There are several animes that are much more rewarding. I especially liked Twin Spica, about a young girl whose dream is to become an astronaut in the Japanese astronaut corps, which has been reinvigorated in order to construct solar power satellites. Voices of a Distant Star is a beautiful half-hour OVA which is set in a war of the worlds, but is mainly about the distance between two lovers and the delay in communications that results. Crest of the Stars/Banner of the Stars is a space opera where interstellar travel is made possible by antimatter harvesting plants set up around local stars. All of these shows are available as fansubs in English and a subtitled/dubbed versions of Voices of a Distant Star and Crest of the Stars/Banner of the Stars are available in the United States. One thing that becomes clear from watching Japanese popular culture is that the Japanese imagination is captured by outer space. New space businesses probably will find an equally solid market in Japan compared to that of the United States. For instance, the space burial folks get 1/3rd to 1/4th of their business from Japan. I wouldn't be surprised to see the Japanese government as a major Bigelow Aerospace customer. My wife and i have been quite satisfied that Chris could [url=http://www.rayban-cheap4uk.co.uk]ray ban sale[/url] conclude his research out of the ideas he discovered from your own blog. [url=http://www.rayban-cheap4uk.co.uk]ray ban uk[/url] ray ban clubmaster , It is now and again perplexing just to continually be giving away tricks which often other people have been trying to sell. So we do know we have you to be grateful to because of that. All of the illustrations [url=http://www.rayban-cheap4uk.co.uk]ray ban clubmaster[/url] you made, the simple site ray ban sale menu, the relationships you aid to create - it's everything exceptional, and it's aiding our son and us consider that that subject matter is enjoyable, and that's incredibly essential. Thank you for all! anybody who wants and needs tips on this problem.